SOAPware DocumentationSOAPware FAQ'sFAQ's Sales SpecificQ: How do I see my SOAPware license? 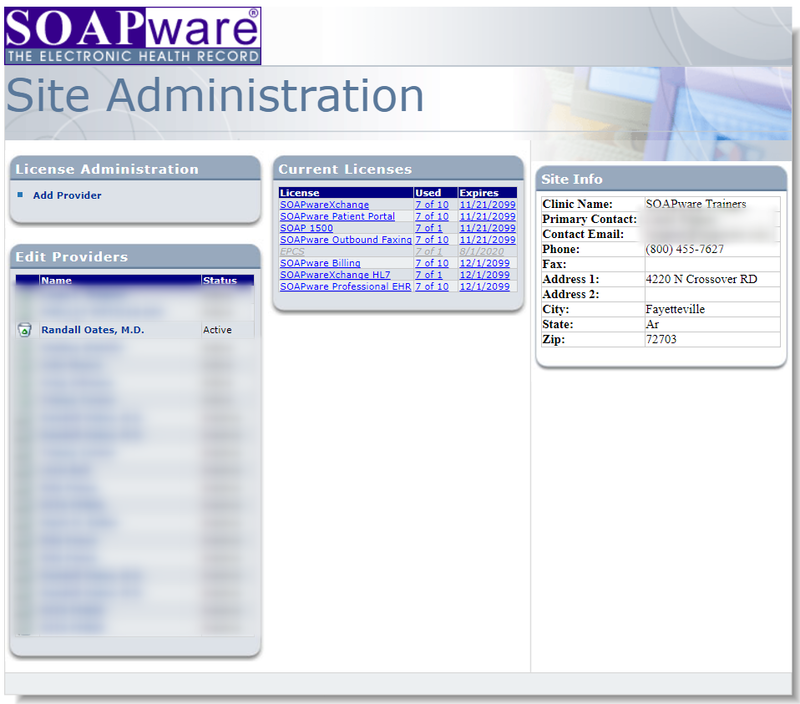 A: The SOAPware Site Administration page will display what enhancements or package you have with SOAPware, as well as check the renewal dates for the SOAPware license. Click on Tools on the menu bar. 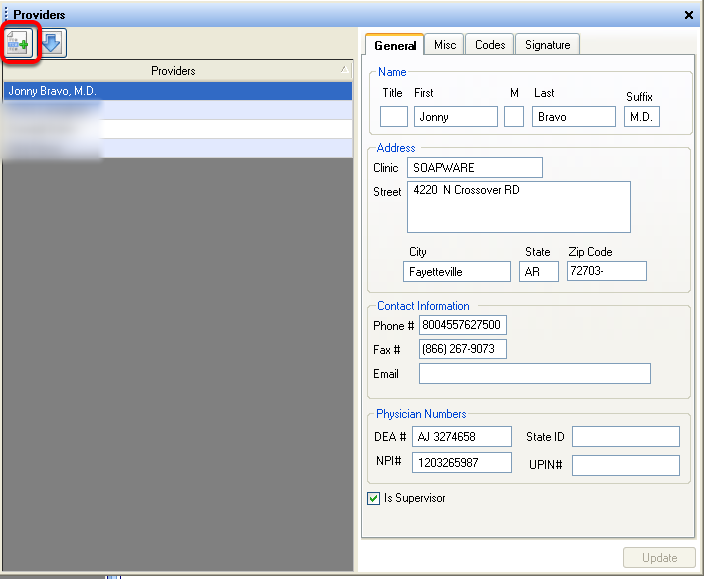 Within the Provider Manager, click on the button with the green plus. Licensing information will be displayed. Previous Lesson: Q: Does SOAPware offer a return period? Next Lesson: Q: How many office staff can use each SOAPware license?